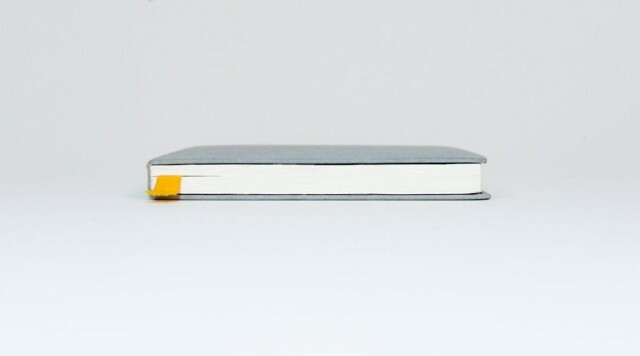 If Apple made a notebook (a paper notebook, with paper pages) then it would probably look something like the Baron Fig notebook: The design is understated, obvious even, but it’s chock-full of tiny details that should make it a pleasure to use. First up, it’s built to last. 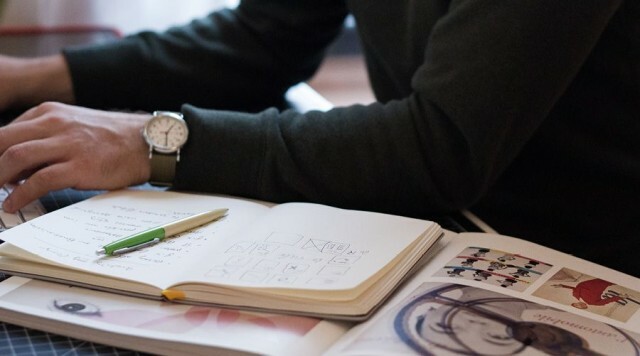 Even when you’ve done scrawling, the acid-free paper means that you can archive the books and they should outlast you (they’ll certainly outlast any of your hard drives). Then, in an admission that you will sometimes need to rip out a page to give your number to a pretty boy or girl, there are twelve perforated pages that can be removed without ruining the binding. The book also opens flat, which means that it’ll be easier to work on the generous allowance of 192 pages, as well as easier to scan them with your iPhone’s camera. And finally, the pages are squarer than usual (“roughly 5.4 x 7.7”), giving a little extra space horizontally: kind of like the iPad compared to all those wide-screen Android tablets out there. Finally, there’s the price: just like Apple’s prices, it’s premium but not at all expensive for what you get. The book costs $20, including U.S domestic shipping. It’s a Kickstarter project right now, but as the funding has already almost $100,000 over the required $15,000 goal, it looks like this book will be a success. I’ll probably buy a box-load.